With 50,000 miles after a $3,000 spend within the first 3 months, 2X miles on all purchases and 10X miles on hotel stays purchased through hotels.com/venture, this card offers a host of travel rewards and features. Venture Rewards is currently partnered with 14 airlines where you can transfer your miles. The Venture Rewards Credit Card is a fine choice for both domestic and foreign travel because of its versatility. Fly any airline and stay at any hotel—there are no blackout dates. Although your annual fee is waived the first year, you will eventually have to face the music by paying $95 each subsequent year. Earn 60,000 points after a $4,000 spend within the first 3 months of card membership and 2X points on worldwide dining and travel. In preparation for your upcoming travel, take a look at this card, with its partnerships with major airlines and hotel brands and a 25% redemption boost when booking through Chase Ultimate Rewards. There's so much to love about this card that it's hard to find a downside. However, one potential setback is the $95 annual fee. While other cards offer tiered rewards for specific spending, this card is one of the few that rewards with 5% cash back on rotating categories, plus another 5% back at the end of your first year. Categories can include restaurants, gas, groceries and more. For example, for March through May 2019, it's gas stations, Uber, and Lyft. While there is no traditional sign-up bonus, Discover will automatically all the cash back you've earned at the end of your first year. This card can be a bit of a hassle, because you have to enroll each quarter to qualify for the 5% rewards. Note that the 5% rewards rate will only apply up to the $1,500 quarterly maximum in purchases. This card has unlimited tiered spending of 4% cash back on dining and entertainment and 2% back at grocery stores. The sign-up bonus of $500 after a $3,000 spend within the first 3 months of card membership is pretty great, even with the annual fee of $95, which is waived the first year. With no 0% intro APR on purchases or balance transfers, in this aspect the Savor Cash Rewards may not compete well with other cash back cards. Like several other credit cards with no annual fee, the Cash Wise gets you 1.5% cash back on all purchases. However, it also has the unique rewards feature of 1.8% cash back on qualified mobile wallet purchases for your first 12 months. It's also worth noting that the cash back sign-up bonus is above average: $200 after you spend $1,000 within the first 3 months. Cash redemption is limited to increments of $25 online or by phone and $20 at ATMs. The SavorOne's best categories are in dining and entertainment, where it earns 3% cash back. It also earns a solid 2% cash back at grocery stores and 1% cash back on everything else. These excellent rewards, plus the card's $150 sign-up bonus for spending $500 in the first 3 months, come with no annual fee. Some consumers might find the SavorOne's offer less attractive than the Savor card's, although the latter charges an annual fee. This card goes above and beyond competitors like the Quicksilver, due to its superior 3% cash back on all purchases in the first year, on up to $20,000 spent. After that, the cash back rate is an unlimited 1.5% on all purchases. While there is no traditional sign-up bonus, the elevated cash back in the first year makes up for it. Features include concierge service, as well as an extended warranty program and purchase protection – not bad considering there's no annual fee. Unlike the Capital One Quicksilver, the Chase Freedom Unlimited has a foreign transaction fee of 3%. There's no annual fee or foreign transaction fee, and the sign-up bonus is a competitive $150 after a $500 spend within the first 3 months of card membership. Features include free credit score monitoring, purchase security, baggage insurance, VIP access to events and more. You can do better than the 1.5% cash back on all purchases, although you may have to shell out for an annual fee with another card. The $200 welcome bonus (after a $1,000 spend within the first 3 months) is one of the best among cash back cards, and no one beats the 6% back at U.S. supermarkets (up to $6,000 a year, then 1%). You can also earn 3% back at U.S. gas stations and select U.S. department stores. The $95 annual fee isn't waived the first year, although the statement credit you can receive as a welcome bonus can more than make up for that the first year of card membership. This card has a bit of a twist, with 3% back on your choice of category from 6 options; 2% at grocery stores and wholesale clubs; and 1% on all other purchases. The 3% cash back category options cover a decent amount of ground in terms of variety: there's gas, dining, online shopping, drug stores, travel, and home improvement/furnishings. It also has a competitive sign-up bonus of $200 cash back after a $1,000 spend within 90 days of account opening. The 3% and 2% cash back only applies up to a limit of $2,500 per quarter in combined purchases. What credit is needed for a rewards card? 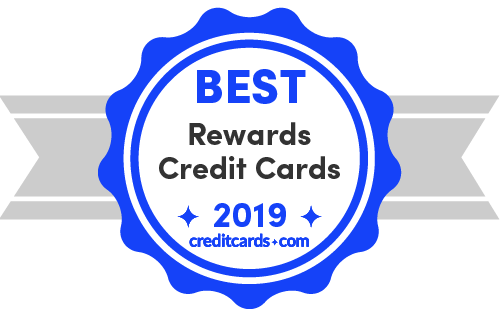 Most rewards cards call for at least good credit (at least a score of 700 on a scale of 300-850), but there are exceptions, such as some student cards and even secured cards.